As one of the world's largest aerospace manufacturing centers, Montreal plays a key role in global aviation. The city's skilled citizens, technological sophistication, and safe, welcoming environment make it a favorite among aerospace companies, who produce much of their equipment there. Hot Shot Trucking allows these companies to get their wares in, out, and across the city with ease. 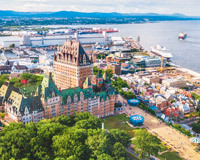 Between Montreal proper, Laval, Longueuil, and other constituent cities, the Montreal metropolitan area is among the most advanced production centers in North America. In addition to its aerospace factories, the area also houses pharmaceutical companies, telecommunication services, IT manufacturers, agribusinesses, and energy producers. These industries vary wildly from each other in their specific needs, but all place a premium on speed. 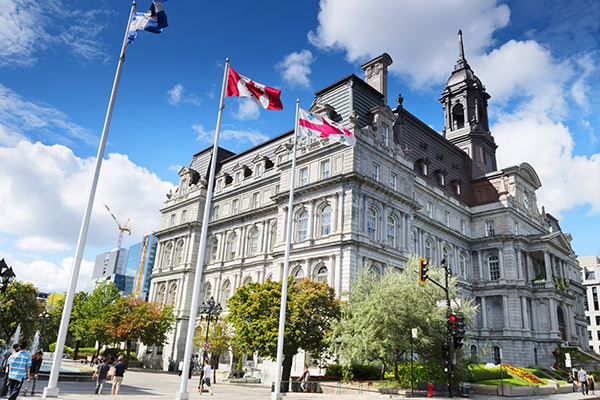 Montreal thus depends on efficient logistics to keep its many firms in business. Efficient logistics is Hot Shot Trucking’s specialty. 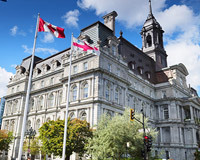 With years of experience aiding manufacturers, agribusinesses, pharmaceutical firms, and other producers, we have the expertise and equipment to serve the Montreal area effectively. Truck Dedication - Hot Shot Trucking customers can count on having a vehicle reserved specifically for their orders, rather than having to share with other clients. This allows you to receive your orders without delay, and it also means we will have no trouble loading storage equipment if your cargo has unique preservation needs. Size Matching - Before we dedicate a truck to you, we measure the volume of your order. We then determine whether you need a tractor trailer, a straight truck, or a sprinter van. Our goal is to never assign a vehicle that is larger than necessary, and thus avoid overcharging our customers. Vehicle Maintenance - To ensure that all our trucks are capable of completing your order without incident, we perform regular vehicle inspections, repairs, and upgrades. This keeps delays to a minimum, improves fuel economy, and lowers our service prices. It also allows us to maintain higher speeds, thus making the delivery quicker. Endless Intel - Whenever you need an update on your order’s position and projected delivery time, the Hot Shot Trucking team is happy to provide it. We can also answer more specific questions and apply new instructions at any time. Team Driving - For longer orders, we assign teams of two drivers to operate each vehicle. While one driver sits behind the wheel, the other can rest; the two then switch off in regular intervals. This prevents one driver from becoming too tired for safety while simultaneously cutting down on the time it takes to deliver. Hot Shot Trucking has coverage in major cities all over North America. In addition to Montreal, we also have vehicles in Vancouver, Toronto, Calgary, Edmonton, and Winnipeg, as well as much of the United States. As soon as you place an order, we dispatch a truck from the nearest location, pick it up within 2 hours, and head to the destination. For more information on our services, contact us today at (438) 807-0344.